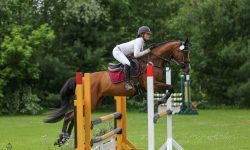 EN would like to thank Mary Getsey Bernier for her report on the Retired Racehorse Training Project Challenge. Three trainers worked with off-track thoroughbreds for five weeks, displaying their progress at the Pennsylvania Horse Expo where Mary was witness to the event. 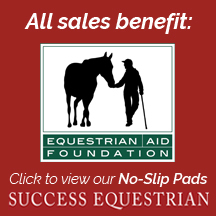 This was a wonderful project to showcase the talent and ability of OTTBs. Thanks for writing, Mary, and thanks for reading! View all of Mary’s videos Here. The post-weekend buzz kicking off the week was off-the-track-Thoroughbreds (OTTBs), and the folks who love them: specifically, the Retired Racehorse Training Project‘s Trainers Challenge; Brazilian Wedding (owned by Pat Dale, Three Plain Bays); and winner of the Trainer Challenge, Eric Dierks (Renovatio Farms, Tryon, NC). Trainers Challenge winner, Eric Dierks, riding Brazilian Wedding, owned by Pat Dale. 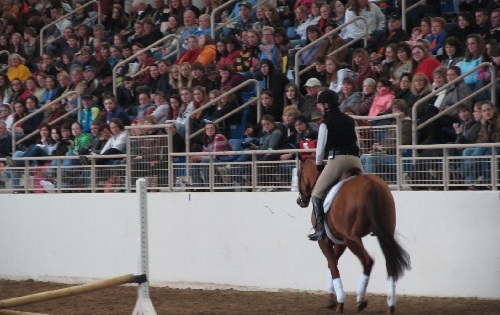 Nearly 3,000 spectators filled the seats and standing room areas of the Equine Arena, eager to catch the final phase of the Trainers Challenge. 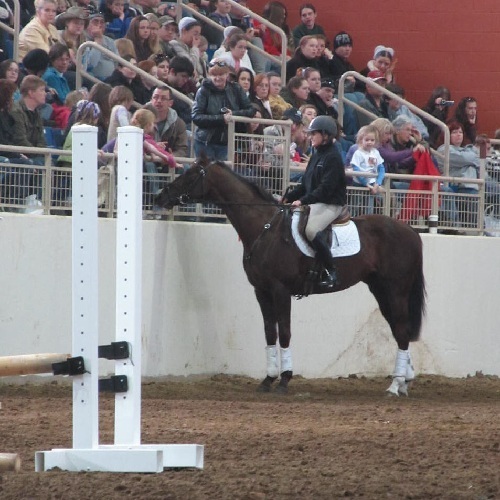 The crowd watches Tiffany Catledge, riding High Level, owned by Jim Falk. Trainer Challenge participants Eric Dierks (Brazilian Wedding, owned by Pat Dale), Kerry Blackmer (Four X The Trouble, owned by Robin Coblyn), and, Tiffany Catledge (High Level, owned by Jim Falk, and Solidify, owned by MidAtlantic Horse Rescue) had five weeks to demonstrate the progression of the horses’ training. The first demonstration kicked off in mid-January, when the trainers first met and rode the horses at the Maryland Horse World Expo. 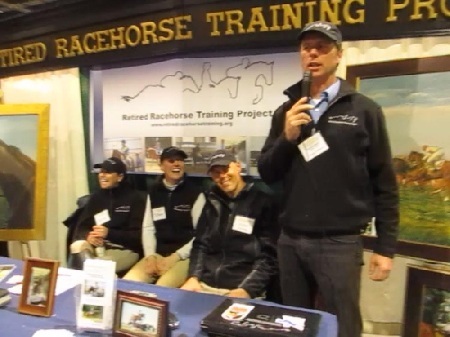 Over the five-week period, the trainers posted training updates via blogs and videos on the RRTP Trainers Challenge web site, the RRTP YouTube channel, and the RRTP Facebook page. The RRTP YouTube videos were viewed over 56,000 times in the course of five weeks. The RRTP Facebook page gained over 2,500 devoted followers, in the same period of time. When asked at the press conference which horse he would select for the personal horse portrait, Eric immediately replied, “Stonehedge Heritage, also known around the barn as ‘Kibbles,’ an OTTB literally straight off a meat truck…” Eric explained the horse was pulled off the wagon, and turned out to a field, where they watched his extraordinary trot. He was purchased on the spot for about $800. 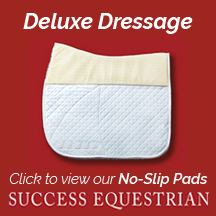 Kibbles was the horse that took Eric up through the levels, all the way to Eric’s first CCI**** Rolex competition. Eric recounted the moment he realized how special Kibbles was, when competing him years ago at Fox Hall CCI *** in GA. After a stirrup leather broke on–course, Kibbles and Eric managed to complete the remainder of the demanding course with one stirrup, conquering the most anxiety-inducing portion: a long ascending hill— followed by an equally long descent to a mushroom jump at the base of the hill. Throughout the Trainers Challenge, some dubbed Eric “the professor,” for his succinct educational training video blogs. Eric clearly has a passion for teaching, for educating, and a passion for OTTBs. 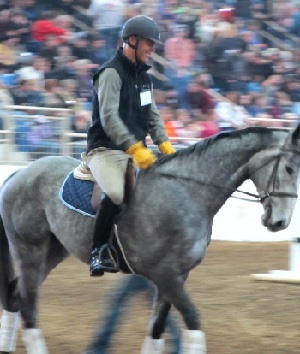 During an interview following the Trainers Challenge, Eric explained he adjusted his teaching methods to accommodate today’s culture, where people sometimes tend to observe something in a riding training video, take a “snapshot of a moment,” and immediately make a judgment, without the trained eye of understanding what is not obvious to the viewer. 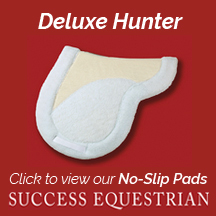 He said he explains what he is doing in the videos with such detail in order to give them the educational slant, so people can follow the process of his riding and training, then learn and apply the techniques. Everything Eric does while riding is for a specific reason, in relation to how the horse moves, or how Eric wants to influence the horse to move. 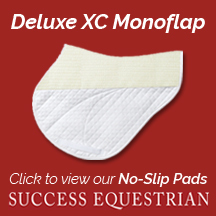 Eric wants riders to rediscover the fun of training, rather than just riding to show. He is concerned today’s riding community may become so caught up in showing, and forget about the fun of training, and what the horses give back to us in the training process. 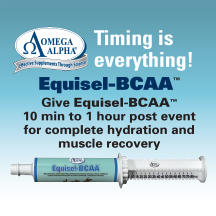 Eric believes his method of consistent, patient, and disciplined training, following the classical training system, is the key to training a horse well. 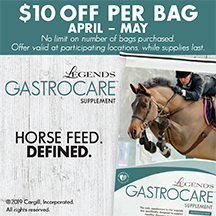 He also believes it helps the rider reach their goals, but equally, if not more importantly, it will build up the foundation that respects the horse, and conditions and prepares the horse for any discipline. 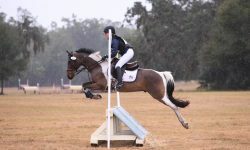 He emphasizes rider education and accountability, insisting that one can not skip the basic foundation of balance and rhythm–the two building blocks of training–whether working with OTTBs, or any other horse. This type of logical and progressive systematic training, and patience, is crucial to success, even though it requires absolute commitment and discipline, on behalf of the rider. For the riders who want it badly enough–those who want to ride, and truly “dance” with their horses–the commitment and discipline (which Eric said are not always “bad” things, as some may think) must be part of the training program. 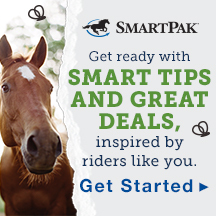 Eric encourages riders to keep their minds open, to educate themselves, either through taking lessons, participating in clinics, riding with a trainer, or sending their horses off for a training period, if they feel someone with more experience may fine–tune in areas where they are less qualified. He recommends riders read training material, watch videos, spend time observing, listening to other trainers and riders in similar training situations. 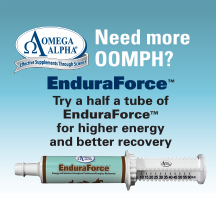 Riders should tap into the resources of the OTTB organizations, such as RRTP. 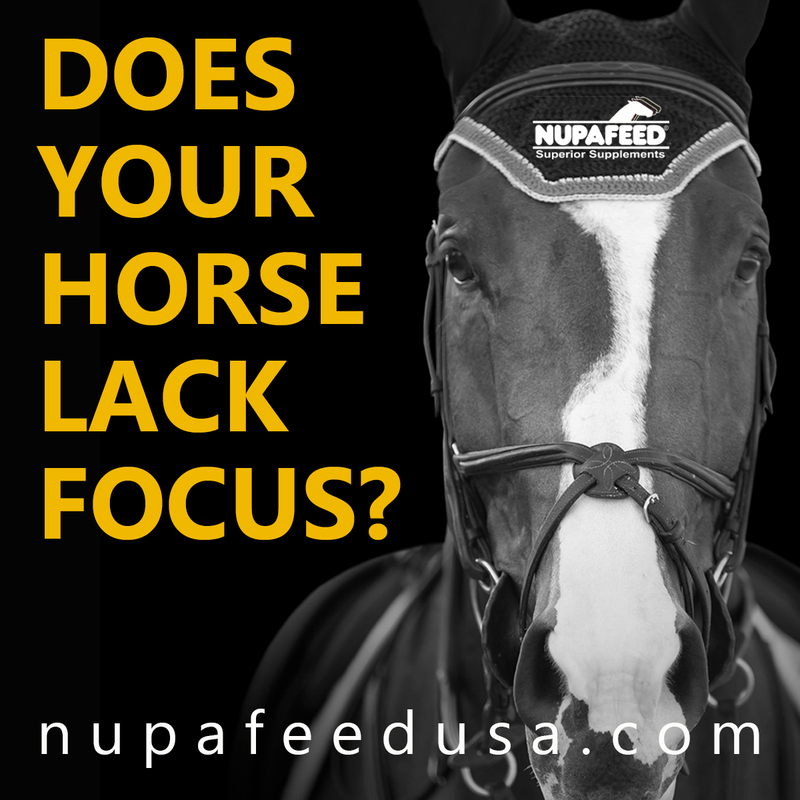 These groups are the ones who want to help new OTTB owners, educate them, and they sincerely want to find the best situation for the OTTBs they re–home. He encourages riders to not be intimated or afraid to ask for help and advice, as even the best riders and trainers know they don’t know every single thing there is to know about riding and training, and they aren’t afraid to keep learning. What does the future hold for RRTP, now that the Trainers Challenge has ended? 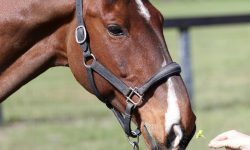 All four horses have returned to their owners, or OTTB organizations, and will be offered for sale. 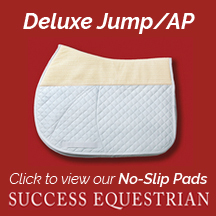 Steuart Pittman confirmed RRTP is working on plans for an event held during the week of Rolex Kentucky CCI****, in April 2012. He also hopes there may be another Trainers Challenge, as well as a program with an extended training period, open to both amateurs and professionals. 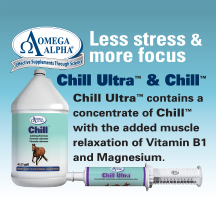 All involved in this project agree, there is a wealth of endless opportunities for the OTTB horses. The Trainers Challenge may have ended, but not the activity with RRTP. Pittman encourages the public to follow RRTP, to make the most of the online resources. One of these tools is the OTTB Bloodline Brag: an online database to track the use of Thoroughbreds in sport, and to track how performance characteristics can relate back to pedigree. 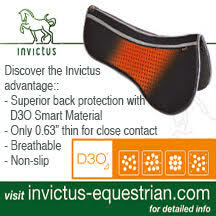 (Such as, which stallions make great sires of dressage horses? 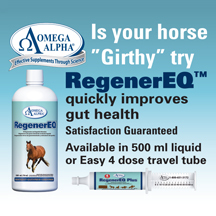 Eventers? Jumpers?) 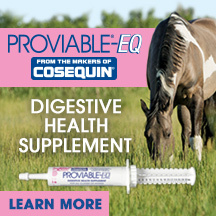 RRTP hopes the database will become a useful vehicle for people doing pedigree research on OTTBs prior to buying them. Erin Pittman, RRTP Board Member, shared a touching anecdote about the OTTB Bloodline Brag. 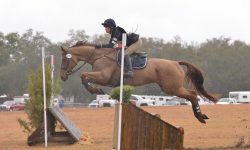 She recounted an OTTB owner who recently entered information about their OTTB to the Bloodline Brag database, proudly posting the horse’s bloodline, a brief summary of the horse and rider’s recent accomplishments, and a comment on happy the owner was with their OTTB. A racetrack person browsing the database saw the listing, recognized the horse from its racetrack days, and relayed how happy they were to learn of the OTTBs “new life.” This coincidental connection would be no surprise to Trainers Challenge Judge Alex Brown, who commented the racehorse community has been following the RRTP Trainer Challenge with interest. 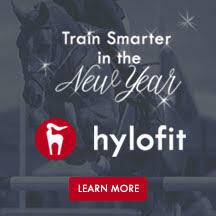 Jim Falk, thoroughbred breeder and owner of High Level, ridden and trained by Tiffany Catledge in the Trainers Challenge, commented that the RRTP was an excellent resource, to educate and encourage the public about post-career options for OTTBs. 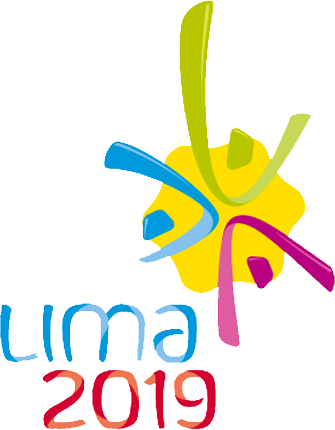 Mr. Falk was impressed to learn of the large amount of community interest in the project, and was encouraged to learn the riding community had sincere interest in finding OTTBs for competition in other disciplines, such as Eventing, Show Jumping, or Hunters.